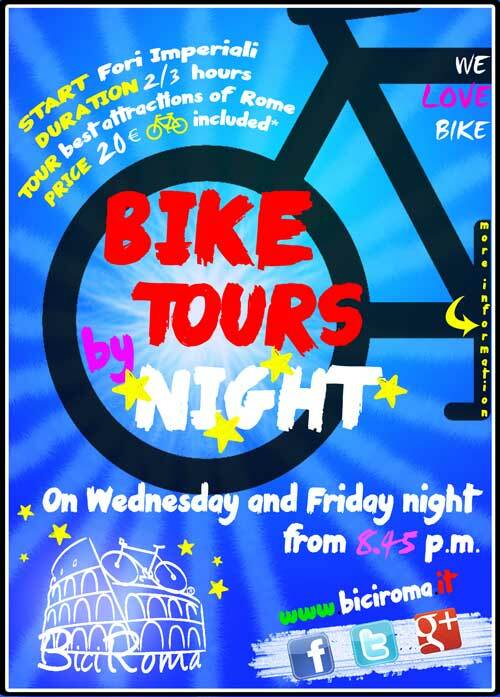 Take part in our night excursions! 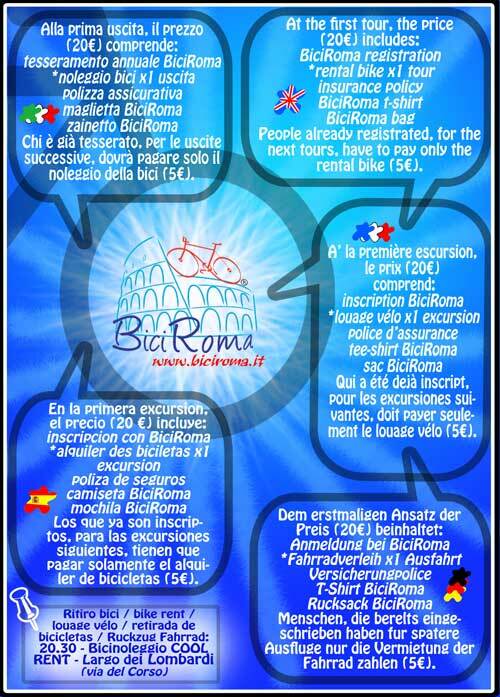 You need only the registration with BiciRoma and a bike. In the following tours, if you are already registrated and if you don't have your bike, you have to pay only the rental bike (5€). We meet at 20.45 at Imperial Forums (Campidoglio) and we leave at 21.00. The tour lasts 2/3 hours. The route of the tour is decided at the moment and the excursion can be suspended if the weather is bad. In the excursions people have to wear BiciRoma t-shirt and we recommend the use of the helmet and of the high-visibility waiscoat. BiciRoma tours respect rules of the road.